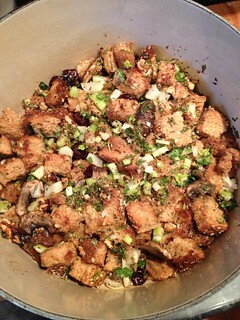 This entry was posted in Vegan Vittles by efcliz. Bookmark the permalink. But there were a lot of other recipes that I made that got the great 4 star rating. A few misses, but mostly this book stood by me. I don’t have the updated one, I kind of get a bit miffed when I have already bought a book and then they re-release it with a few more recipes. I also recently was given the Uncheeze Cookbook, but I am yet to make anything from it. I’ll put them on the list of things to try! 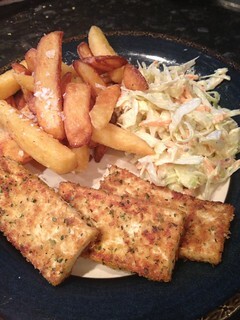 I love the look of the Southern Fried Tofu. Is that just firm tofu, pressed and coated with breadcrumbs? Never tried it like that. It’s dipped in flour and milk (soya) first before the seasoned breadcrumbs.